Perhaps it is because we’re an office full of moms…? 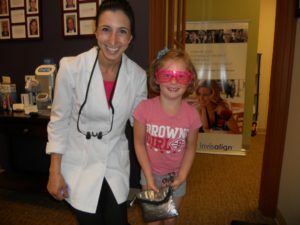 Whatever the reason, we are extremely passionate about kids’ dental health and creating trusting relationship between children and their dental care providers from the very FIRST experience. We proudly join The American Dental Association in celebrating National Children’s Dental Health Month every February. Here is a shocking statistic for you; despite the fact that it’s almost entirely preventable, tooth decay is among the most common chronic disease in children. There are so many safe and effective preventive measures that can protect your child’s precious teeth. Simple, but effective, oral hygiene practices such as thorough brushing with fluoride toothpaste can help keep children from getting cavities. *Bonus info! 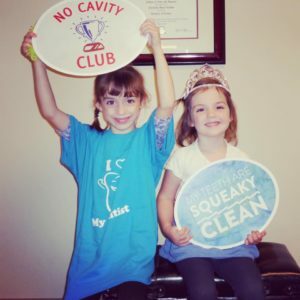 It has been a common myth that children do NOT need fluoride treatments. On the contrary, fluoride is very beneficial in keeping teeth strong and preventing cavities during the critical age when children are still learning their way around proper brushing. Yes, you should start cleaning your baby’s gums and mouth even before the first tooth erupts. Use a warm, soft cloth to gently clean your baby’s mouth after feeding. 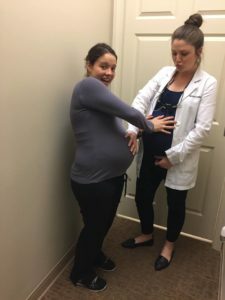 Your little one’s first visit should be around one year of age. Often, at this age, a full cleaning or exam isn’t completed during that first visit and that is okay! Really, the purpose of this initial visit is to help both the parent and the child start to feel comfortable. 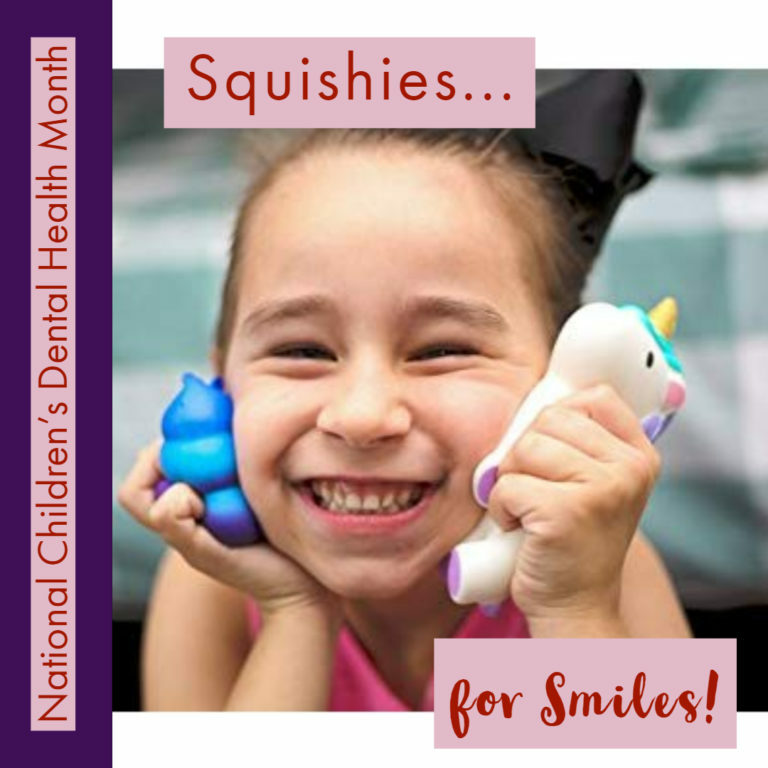 A good hygienist will spend his/her time making the little patient feel safe and secure, maybe by playing games, counting teeth, answering questions or letting the little one explore the cleaning instruments/tools. Let them take ownership. Empower your child by letting them be involved in choosing their fun character toothbrushes and/or their favorite flavor of age-appropriate toothpaste. Incentivize and Celebrate. 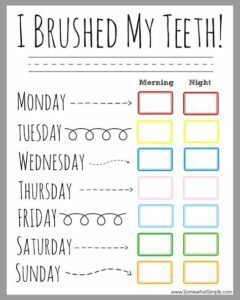 Use a toothbrush tracking chart, like the one below and create a reward system. This is another opportunity to allow them to take ownership. Involve them in deciding what their reward for good brushing behavior will be. Watch snacks! Even the “healthy” all-natural, organic juices and gummy snacks can lead to cavities in your little ones. Our favorite options are always fruits, veggies, low-sugar yogurts, water, etc. And if they do have a sticky treat or juice, try to wash it down with water which will prevent the sugar from settling into the groves of the teeth until the next brushing. Our TOP Tip. One of the most important things you can do for your child is to make sure you find a dentist that both you and your child are comfortable with. 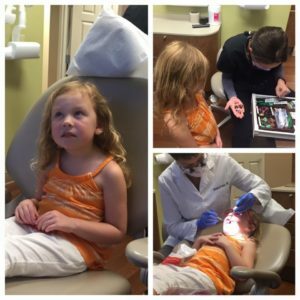 Believe it or not, your child’s first experience with a dental office can shape their feelings about dentistry for a lifetime. With the number one reason cited for not seeing a dentist regularly being “a bad previous experience,” a good first impression is critical. Remember, they need to feel safe and allowed to proceed at their own pace. For more awesome tips and to watch Dr. Kulesa serve up some parental dental Q&A, watch her here on Good Day Columbus with our friends Shawn Ireland and Camron Fontana. Call our Westerville office at 614-682-6213 or our Lewis Center office at 740-739-4240 to get your little one on our schedule this month!